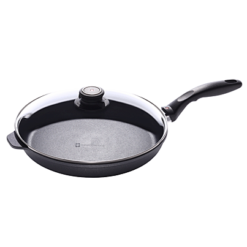 Swiss Diamond specialty pans make it simple to prepare delicious gourmet meals. 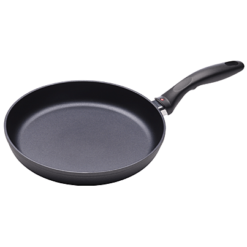 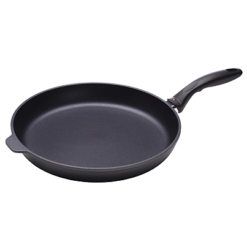 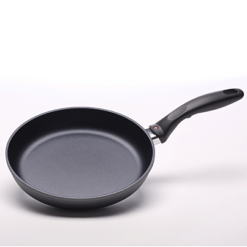 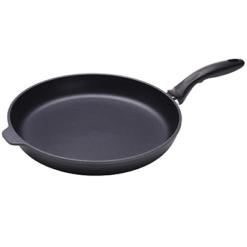 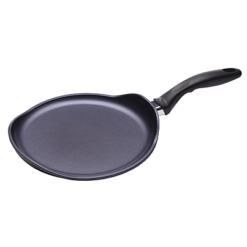 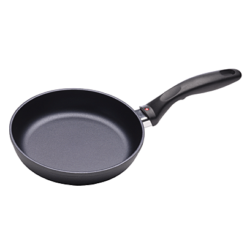 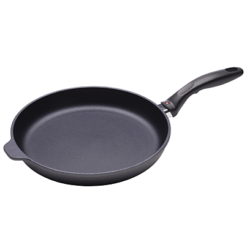 This 26cm (10.25 inch) Induction Crepe Pan pairs durable cast aluminum construction with a diamond-reinforced nonstick coating for optimal food release. 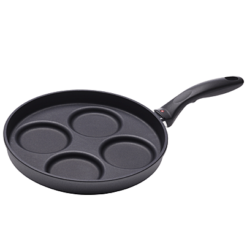 Create golden brown, perfectly pliable crepes and fill them with your favorite sweet or savory ingredients. 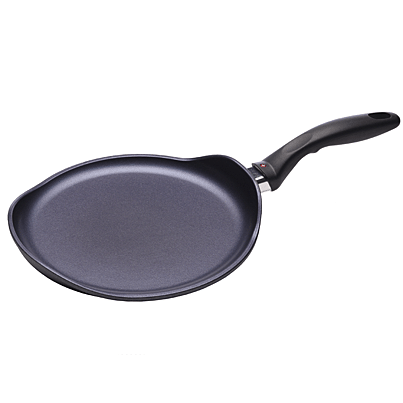 This skillet is also perfect for preparing omelets as the sloped sidewalls allow easy access to flip and fold your delicate creations. 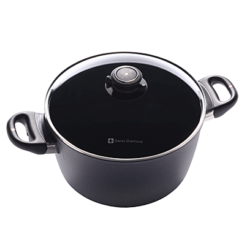 The ergonomic stay-cool handle is attached without rivets to prevent bacteria build-up and provide a perfectly flat cooking surface for optimal results. 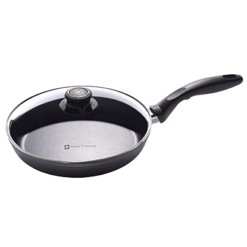 It takes a true professional to whip up quality crepes, but this must-have Swiss Diamond specialty pan does an excellent job.